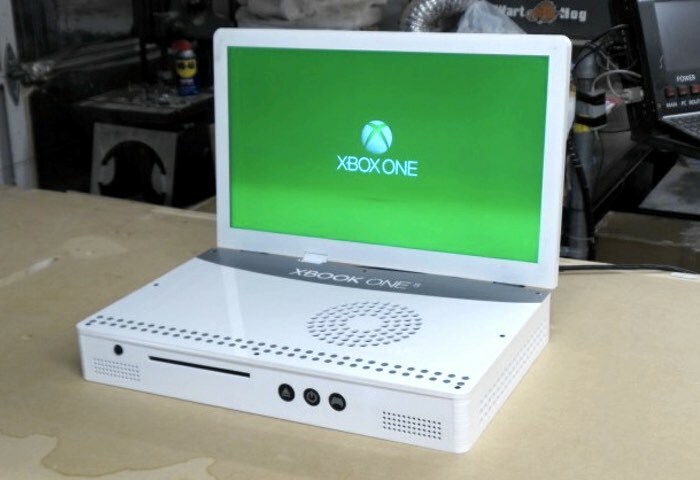 Ed Zarick released an insane new gadgets, It is a new Xbox One S laptop mod which transformed the latest white Microsoft Xbox One S console into a portable gaming system complete with a 19-inch screen. Xbox S mod unfortunately at the current time is only able to display 720p as Zarick was unable to source a 1080p or a 4K Ultra HD screen. I have been making XBOOKs for awhile now and for a lot of people. I normally get very good feed back and everyone loves them. I have been asked though for a smaller screen. When I put in the 22″ LCD into my previous XBOOK, I thought the bigger screen would be nice, but what turned out to happen was the system was slightly to big to be truly portable. A lot of people want to bring them on planes, or on tour buses and had a hard time with the 22″ system. So I am here to announce it is much smaller in size and weight! I used new techniques to get it lighter and slimmer and when you add that with the 19″ screen and the smaller XBOX ONE S, you get a pretty good looking system! Here is the new XBOOK next to the older version. The 19″ LCD is a Samsung HD TV. Now, being that it is only 19 inches, it resolution is at 720p. I had a hard time finding any LCD at that size with 1080p and the reason being that you can not tell the difference between the two at that size. Either way this system is designed specifically for on the go gaming. To have the full 4k XBOX ONE S resolution, plug it in at home to your big TV and sit back and enjoy!